Manage the auction process. To maintain a fair and orderly market in a particular security, the specialist establishes the opening price for his security every day. ​​Then, during the day, he quotes the current bid and offer prices to brokers. Execute orders for floor brokers. The specialist can execute an order immediately or hold the order and execute it when the stock reaches the specific price requested by the customer. As a dealer, the specialist will buy or sell stock from his own inventory to keep the market liquid or to prevent rapid price changes. Serve as catalysts. Specialists are the point of contact between brokers with buy and sell orders. The specialist acts as a catalyst, bringing buyers and sellers together enabling a transaction to take place that otherwise would not have occurred. Provide capital. If buy orders temporarily outpace sell orders, or conversely if sell orders outpace buy orders, the specialist is required to use his firm's own capital to minimize the imbalance. This is done by buying or selling against the trend of the market until a price is reached at which public supply and demand are once again in balance. Usually public order meets public order without specialist participation, however, specialists do participate in about 10 percent of all shares traded. Stabilize prices. To ensure that stock trading moves smoothly, with minimal price fluctuation, the specialist will step in against the market trend. Specialists buy and sell stock to cushion temporary imbalances and to avoid unreasonable price variations. 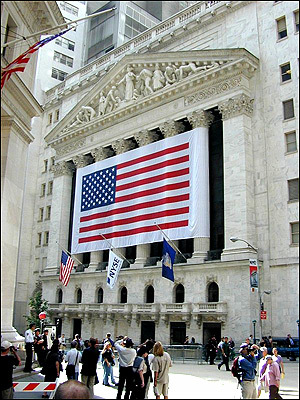 A member firm is a company or individual who owns or leases “seat” on the NYSE. Only member firms are allowed to buy and sell securities on the trading floor. To become a member firm, a company must meet rigorous professional standards set by the Exchange. The number of seats has remained constant, at 1,366, since 1953.